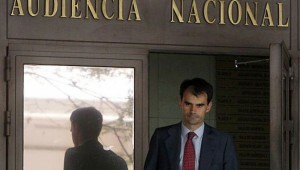 The national audience, the highest criminal court in Spain, has resumed the hearings of new plaintiffs against Polisario leaders accused of genocide and gross violations of human rights, despite the pressures exerted by some Spanish associations claiming the suspension of the judicial procedure. The Polisario leader, Mohamed Abdelaziz, shared with his close aides his deep disappointment and bitterness after Spanish pro-Polisario associations failed to cancel the trials of the SADR leaders. But the draft as adopted just limited judges’ prerogatives to mass crimes (genocide and crimes against humanity) involving at least on defendant of Spanish nationality or residing in Spain. And it turns out that some of the plaintiffs against the Polisario leaders are Sahrawis who have the Spanish nationality or who are settled in Spain and therefore have the right to resort to universal justice. Thus, three new witnesses, victim of serious violations of human rights committed by the Polisario jailers, appeared before the Spanish National Court last Monday. The three victims made before Judge Pablo Ruz moving testimonies about the torture and ill-treatment they suffered during years of detention in the Errachid prison in southern Algeria. The three witnesses, Mohamed El Kabch Nafee, El Kharchi Lahbib and Chouiaar Mohamed Mouloud, were submitted, at the judge’s order, to a medical examination which revealed that their bodies were still bearing the scars of torture. They claim to have been imprisoned without trial for respectively 15, 17 and 13 years between 1977 and 1994. The three victims are said to have revealed to the judge the names of several detainees who died under torture in the Polisario prisons as well the names of the perpetrators of these gruesome crimes and inhumane practices.